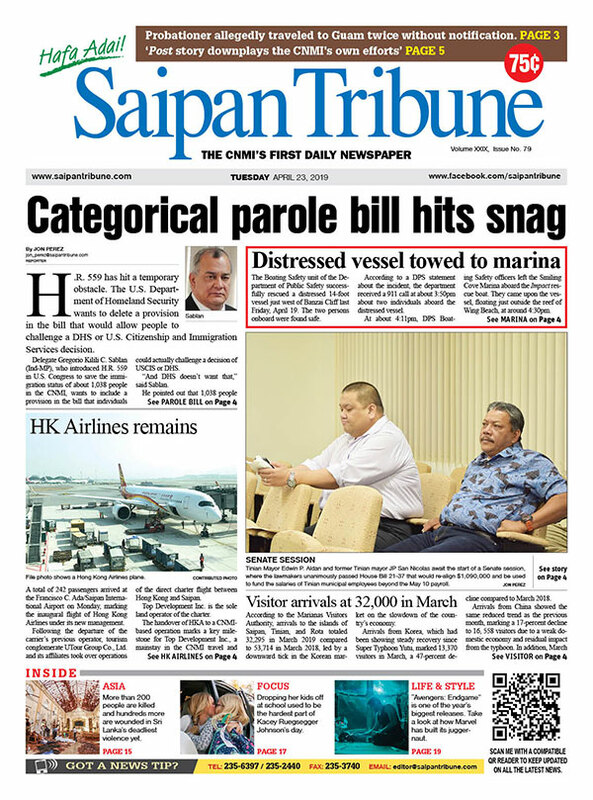 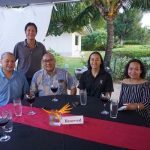 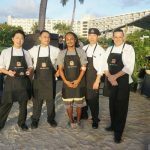 Hyatt Regency Saipan provided the classy setting, Triple J Wholesale brought the mouth-watering Certified Angus Beef, while Pacific Trading Co. came bringing bottles of wine. 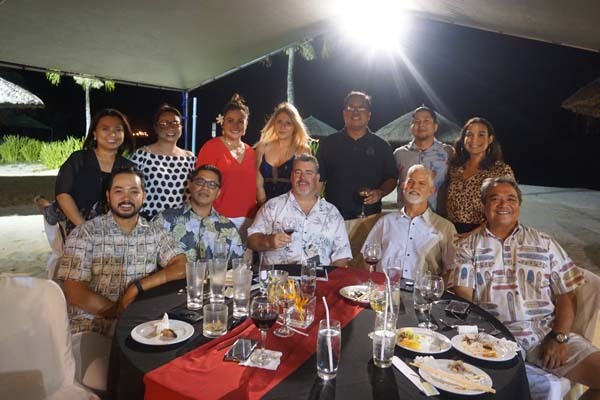 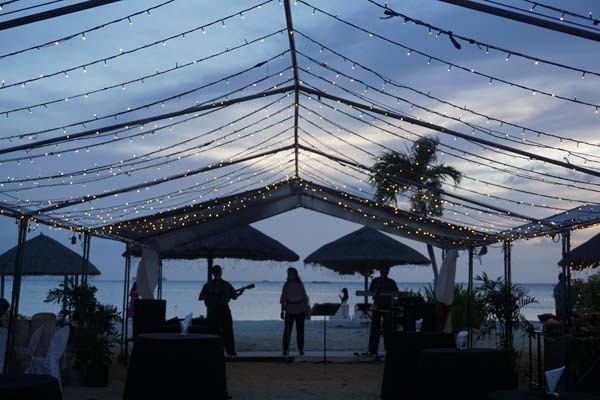 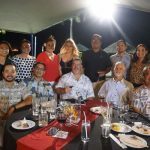 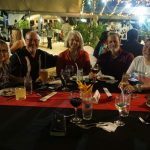 A decade of partnership between the three companies came together last Friday for the annual Red, Roast and Rendezvous at the Island Sundowner—a night of great food and good wine in a beach-side setting. 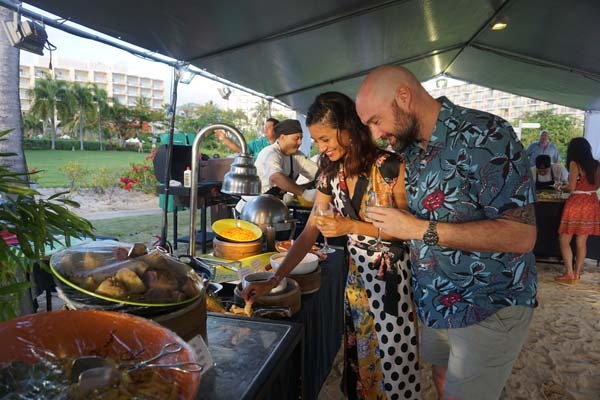 “The whole concept was about kicking back with great food, great drink, your feet in the sand and enjoying the night,” said Ty Pauling, Hyatt Regency Saipan’s Food & Beverage director. 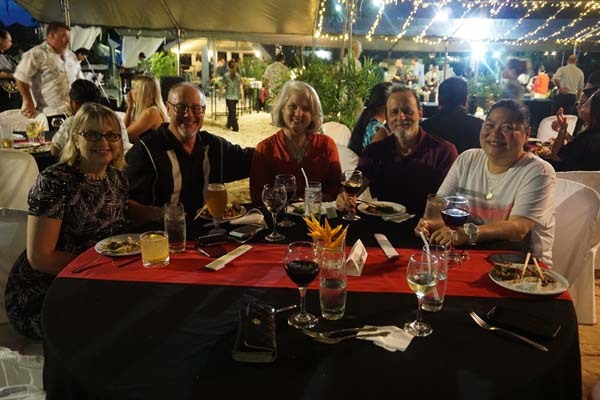 “I think…it’s all about being around friends, family and enjoying the food, drink, conversations and we can do that through the Island Sundowner,” he added. 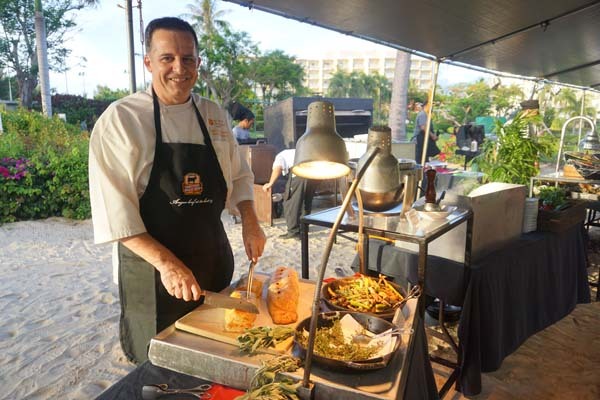 Gabrielle Colombo, Hyatt Regency Saipan’s executive chef, said the annual Red, Roast and Rendezvous event has over the years always featured the best dishes. 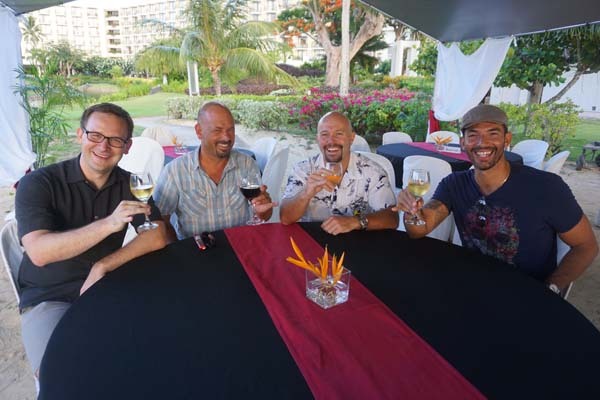 “We are celebrating a decade of good food, fine wine, and beautiful sunsets so it [is[ special. 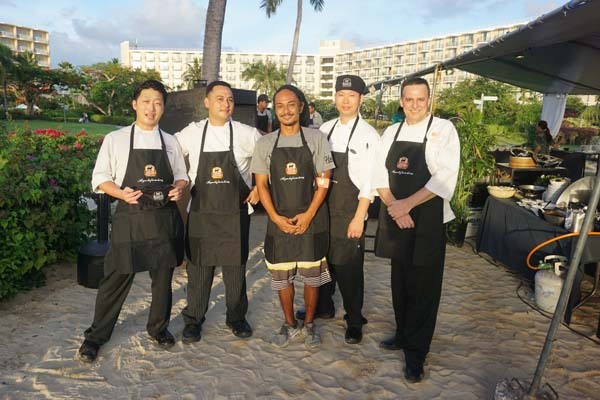 The food the will be served are the best ones…like the traditional French cuisine beef Wellington, we have a local station featuring chicken kelaguen and we have Japanese, Italian dishes that features the different specialties of our chefs,” he added. 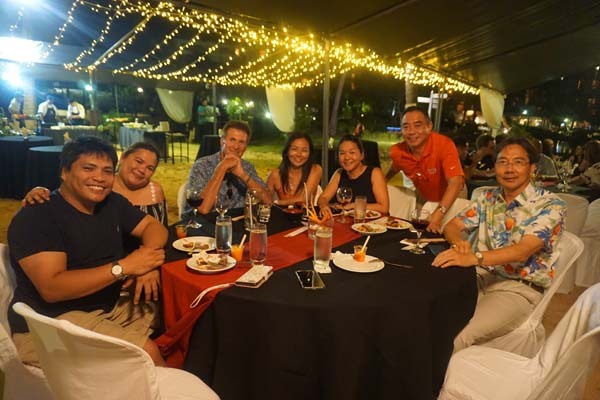 According Jay Santos of Triple J, a decade of partnership among the three companies has been remarkably swift. 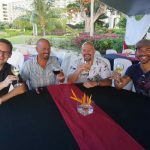 “We are going to continue to partner up with Hyatt and probably change the theme a little and include other products that PTC carry, which includes spirits. 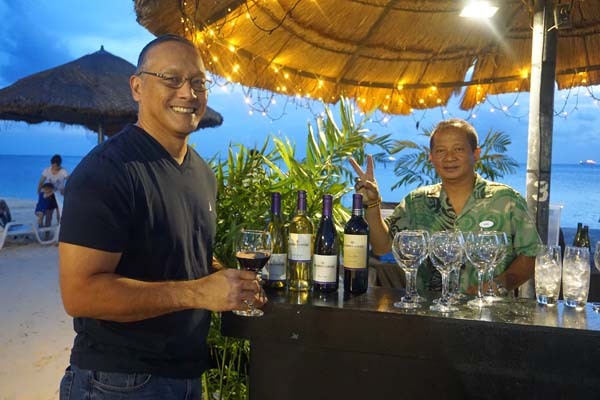 For the past 10 years, we try to make wine an everyday social event because wine is not just about luxury. 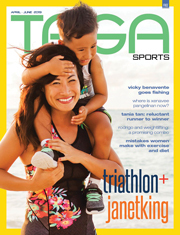 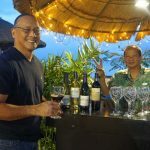 We are really looking at diversifying the wine business here on Saipan because we got the beach, climate and weather that is perfect for barbecues and that is the kind of what we do with the Sundowner because wine goes great with everything and any kind of food,” he added. 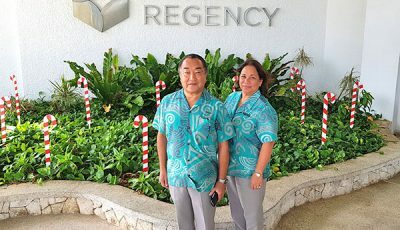 Hyatt Regency Saipan employees at the Japanese dish section. 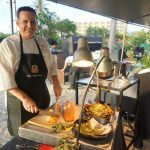 Hyatt Regency Saipan executive chef Grabrielle Colombo prepares a traditional French cuisine at the Island Sundowner held Hyatt Regency Saipan last Friday. 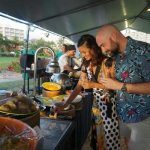 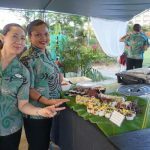 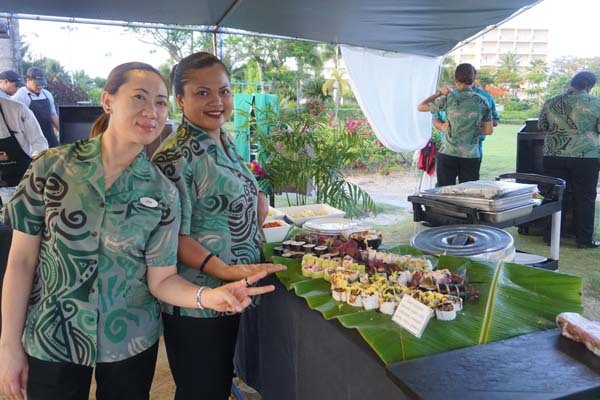 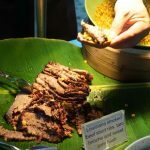 Early birds and Island Sundowner regulars look at the food selection at the Island Sundowner held at the Hyatt Regency Saipan last Friday. 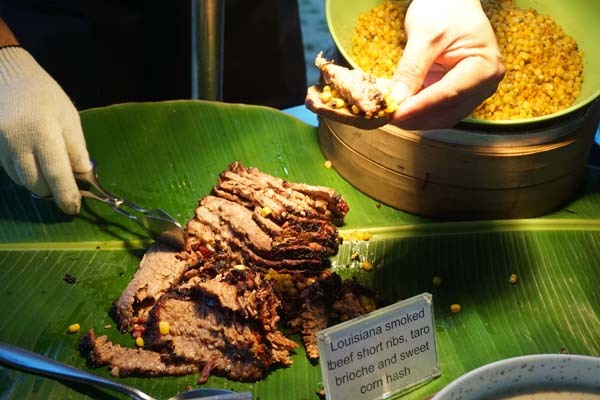 Barbecue short ribs served at the Island Sundowner at the Hyatt Regency Saipan last Friday. 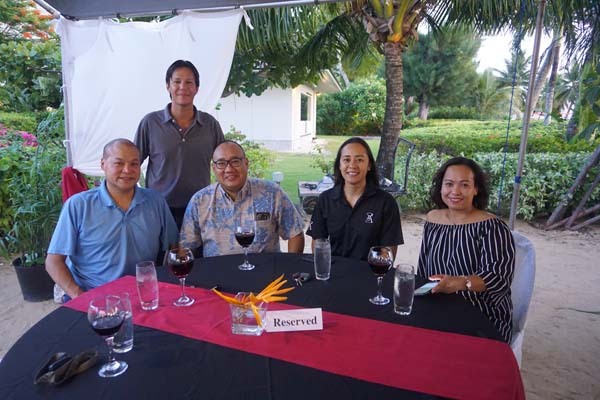 From left, Dung Tenorio of Joeten Motors, Craig Tenorio of Joeten, Mike T. Demapan of Saipan Stevedore, Somia T. Quan of Joeten, and Liza David of Pacific Trading Co. 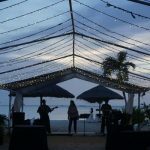 The band plays bossa nova hits to complement the theme of the night at the Island Sundowner held at the Hyatt Regency Saipan last Friday. 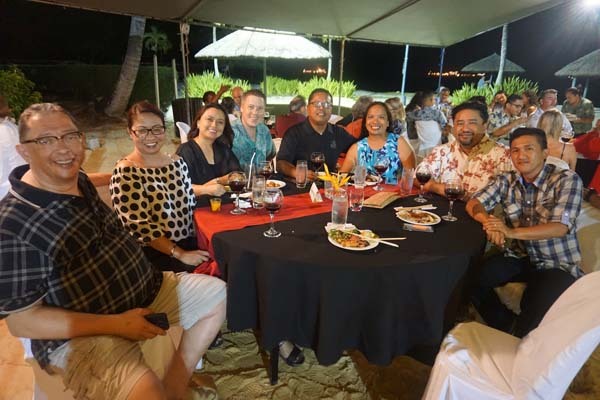 Pacific Training Co. general manager Charles V. Cepeda. 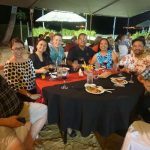 A group of friends enjoy the Island Sundowner at the Hyatt Regency Saipan last Friday. 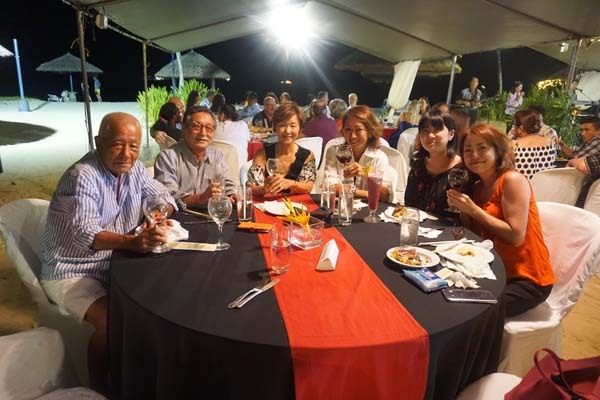 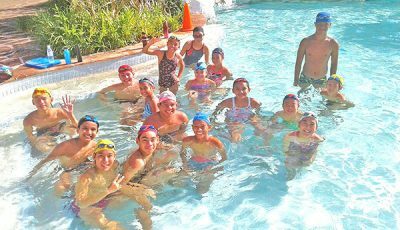 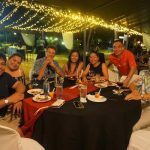 A group of friends and family enjoy the Island Sundowner held at the Hyatt Regency Saipan last Friday. 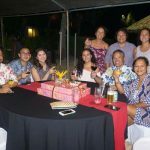 Jay Santos of Triple J Wholesale poses with friends at the Island Sundowner held at the Hyatt Regency Saipan last Friday. 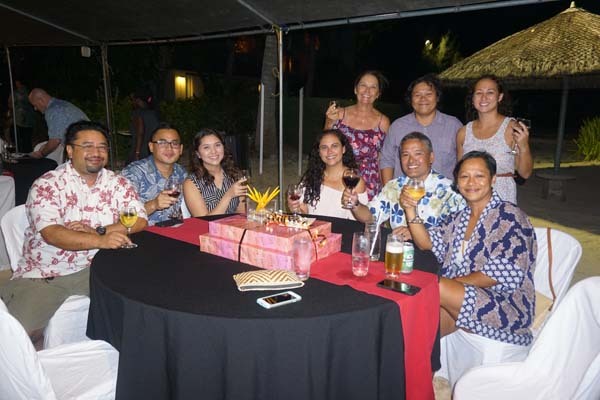 Triple J Wholesale officials and friends enjoy the Island Sundowner held at the Hyatt Regency Saipan last Friday. 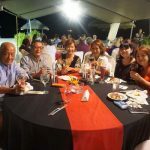 A froup of friends enjoy the Island Sundowner held at the Hyatt Regency Saipan last Friday.